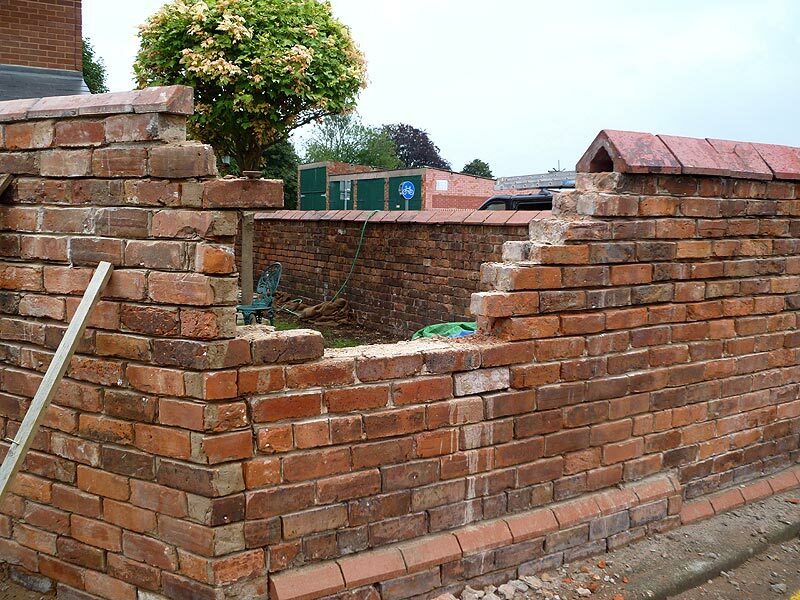 The stretcher bricks in this 100' long (early 1900's) garden wall had completely perished. 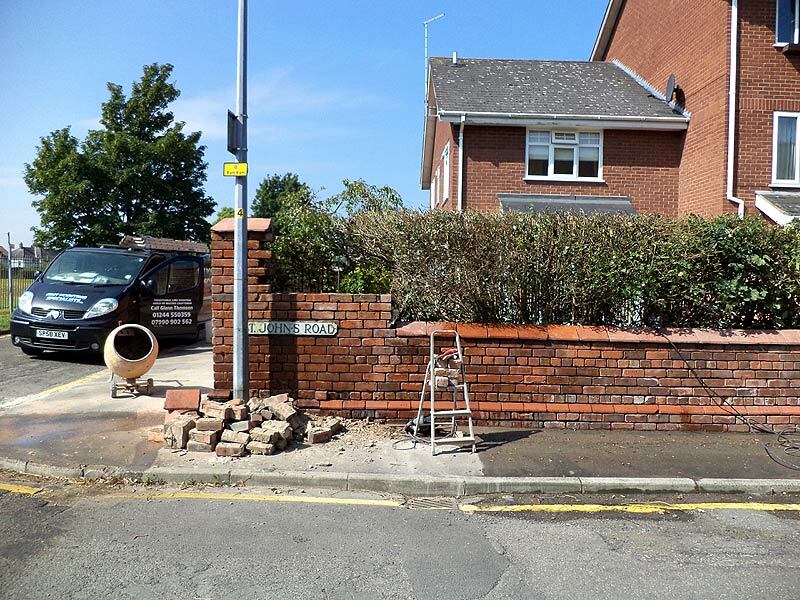 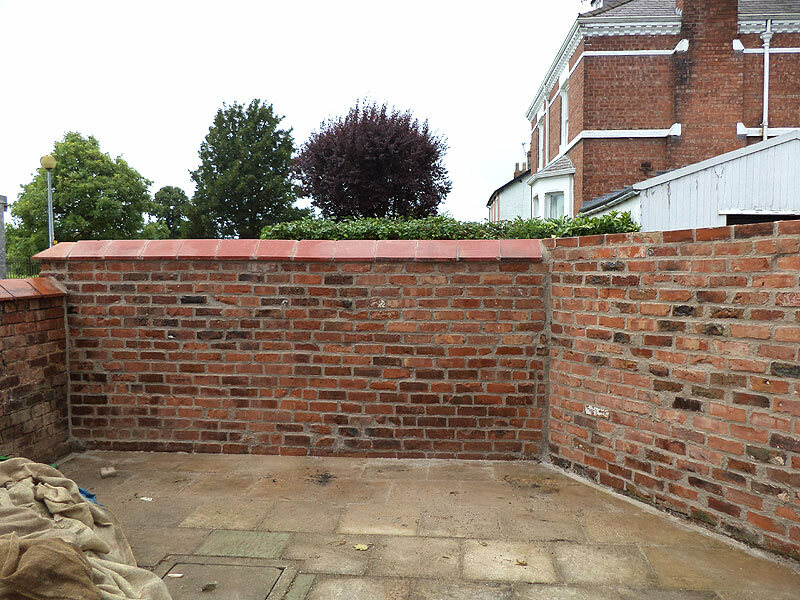 An overgrowth of ivy had also caused the wall to lean and had severely damaged a great number of bricks. 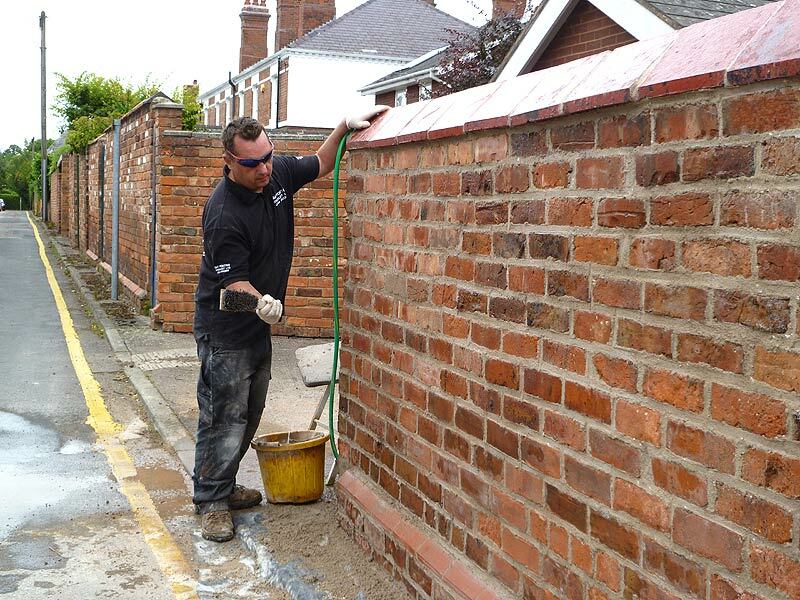 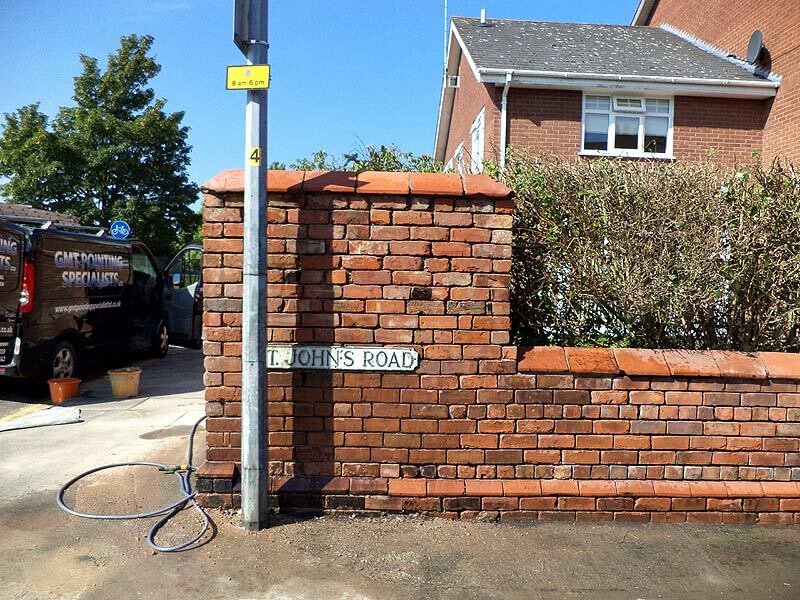 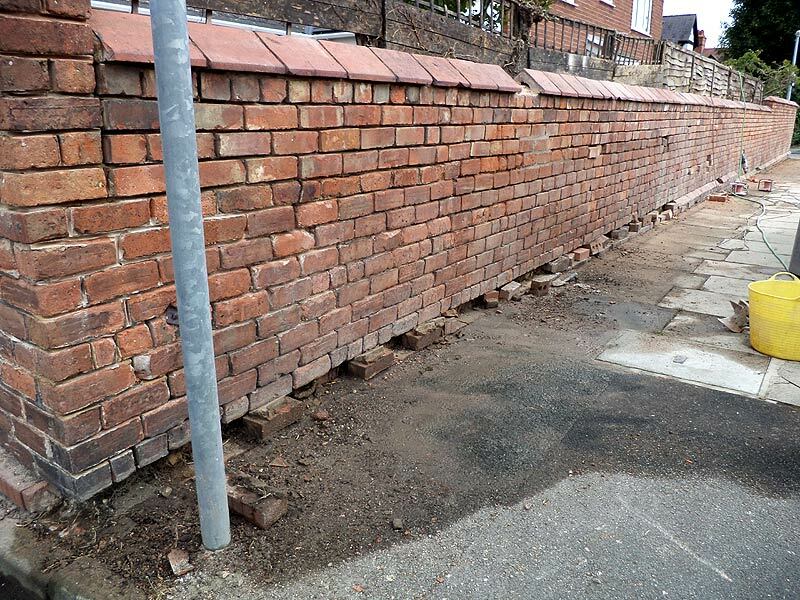 Repair consisted in the replacement of all stretcher bricks and over 100 damaged bricks, including a complete re-pointing using hydraulic lime (NHL lime mortar). 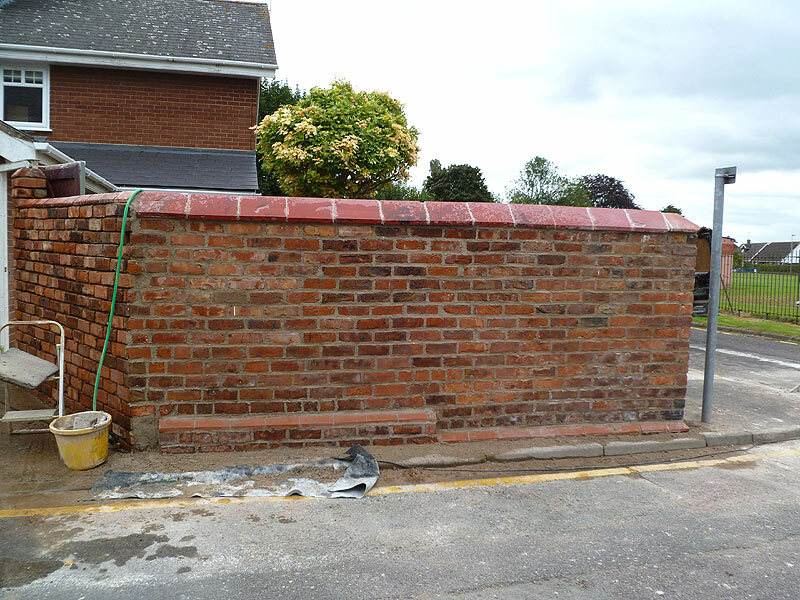 5 years on and the wall is looking as good as the day of repair which is a great testament to the combined quality of the product used and its application. 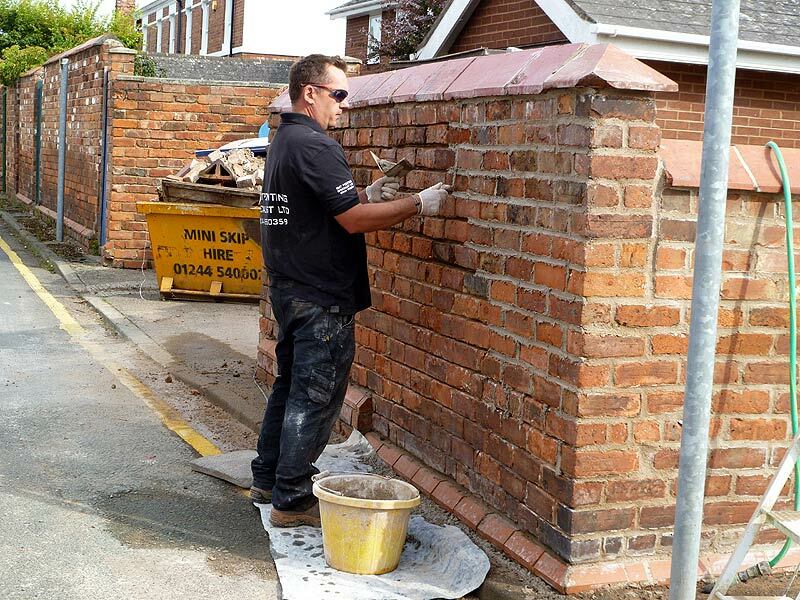 The original building at this address was the head quarters of the British Army in World War II so it's pleasing to be able to help preserve at least some of this historic property.